If you long for a flat belly, you are not alone. A flat belly and a six-pack have become symbols of not only a fit body, but also a healthy one. Then how to get there? One way is a disciplined approach consisting of a balanced diet and regular workout, something like the one we showed here (Part 1) and here (Part 2). However tight schedules leave many unable to keep up with such demanding routines. Fortunately, there’s one exercise that fitness instructors agree is a very efficient way to get a flat belly without having to stick adamantly to a strict exercise and diet plans. This exercise you can do anywhere, while walking, in the office, even in your car. Stomach vacuum may sound a bit silly, and compared to ab crunches, sit ups, leg raise and so on, it doesn’t even sound like an ab exercise. Despite the name, it’s one of the most effective exercises for your abs, so stay put as we explain you why. Stomach Vacuum: What is It? It just might be the most unknown ab exercise. Let’s start with some anatomy. In our belly we have inner abs and outer abs. The so popular six pack that we all want forms the outer abs or external abs. The part that we can see with our eyes. 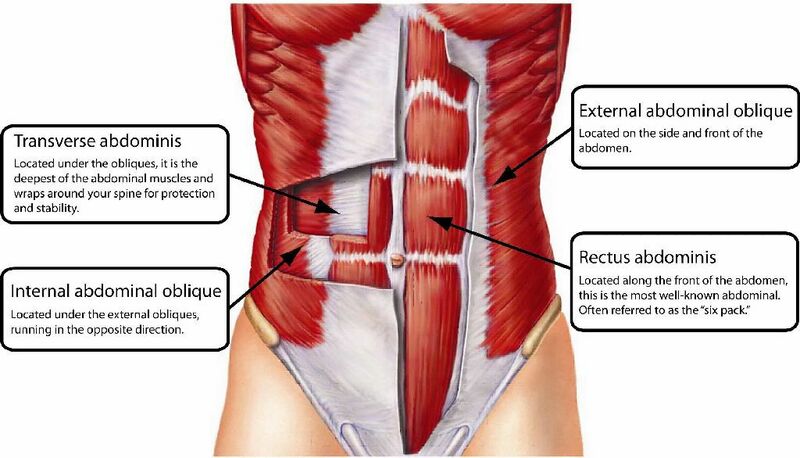 We need to train the internal abs because they have the function of supporting the abdominal wall. In simple words, they keep your belly flat. When you “hold your breath” to keep your belly in, you actually hold your internal abs tight. If you train those muscles regularly your belly will look more flat naturally, even in a relaxed state. All right, let’s see how to train internal abs. 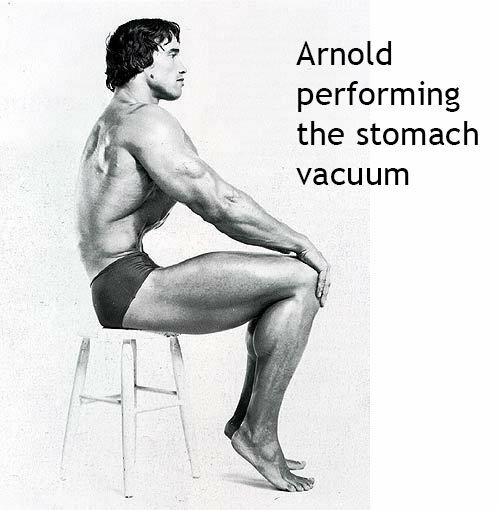 How to Do Stomach Vacuum? Stomach vacuum consists of blowing out all the air from your lungs and “sucking in” your stomach as much as you can for about 10 seconds. Practically, it looks like you are trying to breath without letting any air inside. If you try to expand your lungs with no air you feel a vacuum sensation. You feel like your stomach is sticking to your spine. It might seem a breeze, however the exercise is not easy at all, and might bring certain uneasiness and even pain when done correctly. When you start feeling a burning sensation inside of the belly it means that you’re doing it right. It seems an easy and useless exercise, but if you start doing it every day you will see huge changes in your waist line! Let’s try to write down the steps. It’s important that your body is curved forward. If you try to stay upright it won’t work that well and will make the exercise more difficult. You can do it on the floor. You can also do it at work, in which case you’ll stand and support yourself by placing the hands on the desk. Some people can do it while they drive, though it might be uncomfortable, and is generally not recommended. It is recommended, however, to trying different positions and stick with what feels better to you. As an exercise, the stomach vacuum might be slightly painful, but it’ll give you a flat belly if you do it regularly. Training your internal abs to stay tight and will make you belly look flatter even if you don’t hold it tight on purpose.